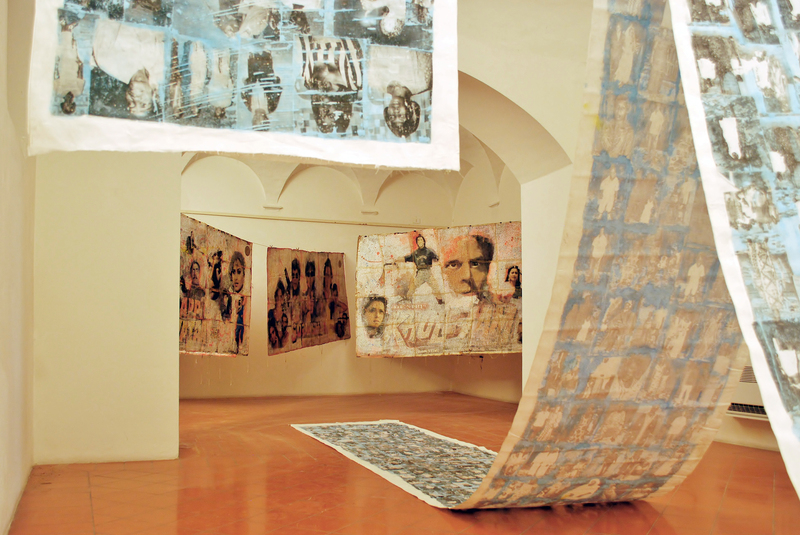 Biografia Plurale è strettamente legata al progetto The Art of Migration, che sarà inaugurato nella stessa data alla Pinacoteca Comunale di Trevi alle ore 16:30. Si tratta di un laboratorio con il gruppo MakeArtNotWalls/Italia di alcuni profughi dell’Africa Occidentale che Virginia Ryan sta conducendo da svariati mesi in collaborazione con ARCI e il comune di Trevi. È un workshop a carattere esperienziale, in cui la condivisione della pratica artistica diviene per i rifugiati un mezzo per cercare di orientarsi nella nuova realtà sociale in cui vivono. L’Onorevole Jean-Léonard Touadi presenzierà alla doppia inaugurazione. Il 25 Aprile sarà presentato al pubblico il film documentario su The Art Of Migration di Matteo Fiourucci e Bernardo Angeletti e il volume Africa. Biografia Plurale. 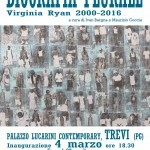 Arte Vita Bricolage nell’opera di Virginia Ryan edito dalla Casa Editrice Fabbri di Perugia. Il 25 aprile alle 17:00, infine, come evento collaterale alla mostra, è prevista la proiezione del film JC Abbey Ghana’s Puppeteer, di Steven Feld, già vincitore dell’Intangible Culture Film Prize 2017 del Royal Anthropological Institute Festival, Regno Unito. VIRGINIA RYAN nasce in Australia e si laurea nel 1979 al National School of the Arts di Canberra. 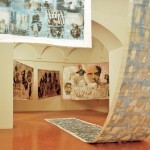 Artista transnazionale, viaggiatrice, collezionista di arte contemporanea Africana e cittadina Italiana. Dal 2001 il suo lavoro è strettamente connesso con la realtà africana dove ha vissuto per molti anni, prima ad Accra (Ghana) e dal 2009 al 2015 ad Abidjan e Grand Bassam, (Costa d’Avorio); attualmente vive e lavora a Trevi. E’ stata presidente dell’ONG Make Art Not War (2013) che ha sede a Bassam (Costa D’Avorio) e co-fondatrice della Foundation for Contemporary Art in Ghana. In 2016 ha fondato ‘MakeArtNotWalls/Italia’ con un gruppo di richiedenti asilo nel comune di Trevi. Tra le mostre personali recenti: 2016 ‘I will Shield You’ Galleria Montoro 12 , Roma , Surfacing ex-Lavatoio Contumaciale Roma 2015 Vous Etes Ici, La Maison de La Patrimoine, Grand Bassam; Pino Pascali L’Africano e Ryan/Bouabre ‘Sirene’ Museo di Catelbuono, Palermo; 2014 Emersioni Trebisonda, Perugia; Espace à Louer, Galerie Cecile Fakhoury Abidjan; Fluid Tales, Museo Pino Pascali, Polignano a Mare (Ba); I love You 1Opera Gallery, Napoli; 2013 Shift/Rue Du Commerce, LaMama Spoleto Open, Festival di Spoleto e St Stephens Cultural Centre, Roma; 2010 Surfacing , Dak’art – Biennale di Dakar/OFF. 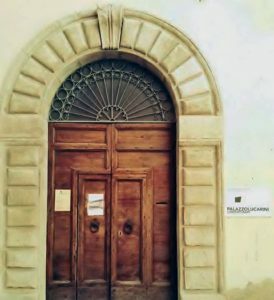 Sede: Centro per l’Arte Contemporanea “Palazzo Lucarini Contemporary”, Trevi (PG), Italy. 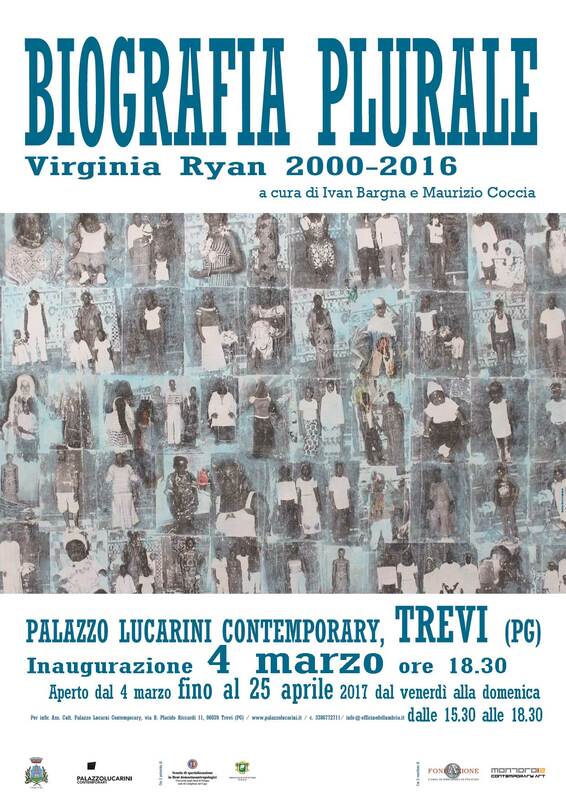 Saturday, March 4, 2017 at 18:30 the Center for Contemporary Art Palazzo Lucarini Contemporary Trevi will open the exhibition Biografia Plurale: Virginia Ryan 2000-2016. This is a systematic review of the artist’s production over more than fifteen years in two West African nations, Ghana and the Ivory Coast . Over this intensely lived period, Virginia Ryan has developed a large body of work which is formally eclectic yet coherent in vision. Assisted by two curators from different backgrounds, Ivan Bargna (art anthropologist) and Maurizio Coccia (art historian), the exhibition at Palazzo Lucarini combines the artist’s gaze which could be at times described as ethno-graphic with the catalytic function of contemporary art. By negotiationg the ready-made and montage with personal observation, Virginia Ryan offers an (inevitably) partial synthesis which is both extremely vital and empathetic. 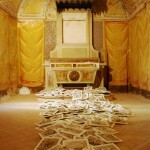 At the heart of her research is the function of the production and dissemination of images (art, photography and advertising) which contribute to the culture and memory of the countries in which she has worked and intervenes in articulating the biographies and relationships of the people encountered formally or casually. The art of Virginia Ryan is in deep conversation with both images and the imagination of modern and urbanized Africa, far removed from stereotypes. 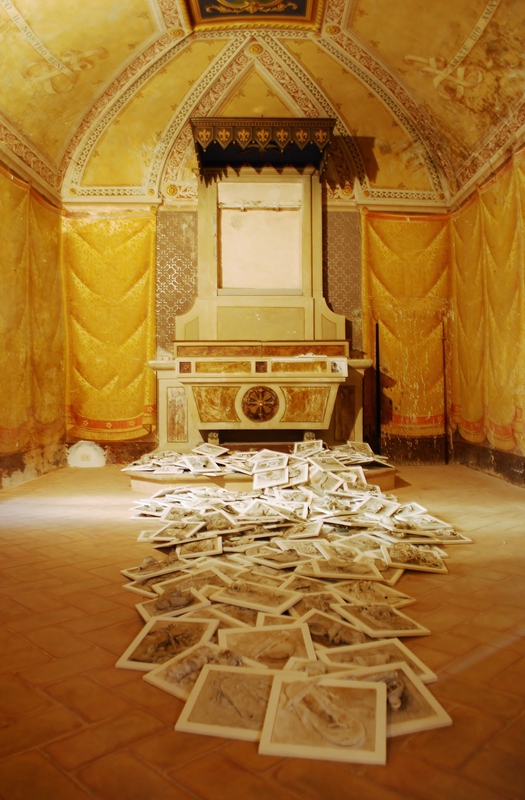 Biografia Plurale is closely linked to The Art of Migration project, which will be inaugurated on the same date at the Pinacoteca Comunale di Trevi at 16.30. Springing from the art studio entitled MakeArtNotWalls /Italia , a group of asylum seekers from West Africa has worked closely with the artist and co-facilitator Julia Perry over several months in an experiential workshop, where the sharing of artistic practice becomes a means to navigate the new social reality. The Honourable Jean-Léonard Touadi will inaugurate the double event. During the exhibition, on March 25, at 17:00, there is the screening of the film JC Abbey Ghana’s Puppeteer, by Steven Feld, which won the Intangible Culture Film Prize 2017 at the Royal Anthropological Institute Festival, UK. On April 25th, the last day of the exhibition, the documentary film Art Of Migration by Matteo Fiorucci and Bernardo Angeletti and the bi-lingual volume Plural Biography. 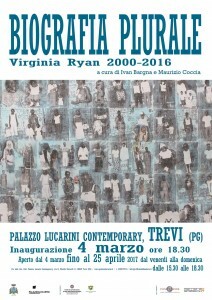 Art Life Bricolage in the work of Virginia Ryan, published by Fabbri Editore from Perugia, Italy will be presented to the public.